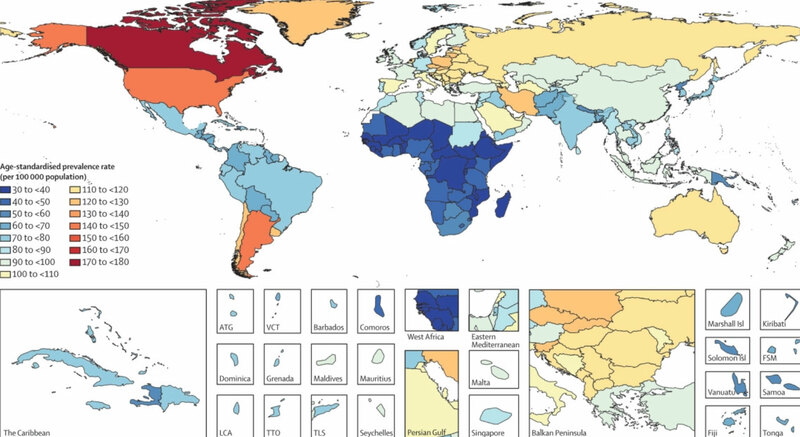 A new study of global, regional, & national burden of Parkinson’s 1990–2016 has been published. The study – funded by the Bill and Melinda Gates Foundation found that in 2016, there were 6.1 million case of PD globally. This number compared with just 2·5 million in 1990. The growth in number of cases was not solely due to the increasing elderly population, suggesting that there is a rise in the number of cases of PD. Parkinson’s is the only neurodegenerative condition that is increasing in incidence beyond the general population growth rate (Click here to read more about this, and click here to read an SoPD post on the topic). In a manuscript on biorxiv, the International Parkinson Disease Genomics Consortium conducted a simulation of clinical trials using data from 5851 people with Parkinson’s to explore genetic variability & potential effects on clinical trial outcomes. The results find that “within genetically unmatched clinical trials, particularly those below 1000 participants, heterogeneity could confound true therapeutic effects as expected”. The implications here could be important for Parkinson’s, the researchers concluded that “clinical trials should undergo pre-trial genetic adjustment or, at the minimum, post-trial adjustment and analysis for failed trials…. genetically balancing trial arms can lead to more cost-effective clinical trials” (Click here to read the manuscript). 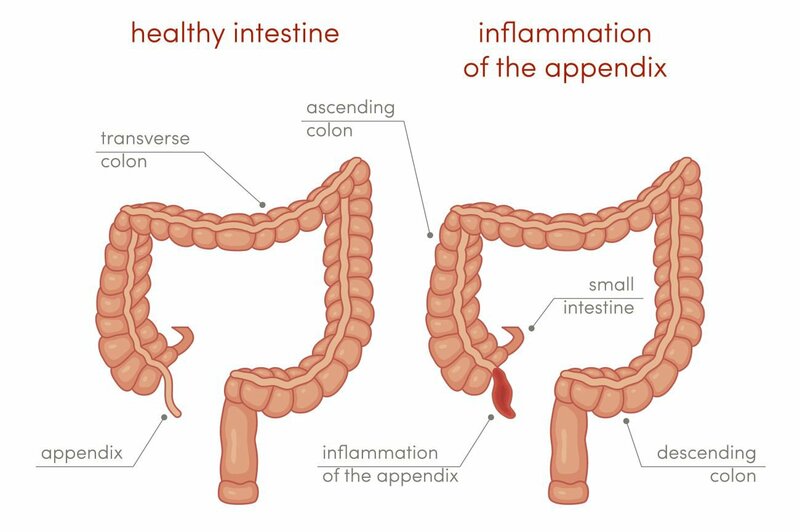 A new report from researchers at the Van Andel Institute in Michigan has found that the human appendix contains an abundance of misfolded alpha synuclein protein and that removal of the appendix decreased one’s risk of developing Parkinson’s. Using two independent epidemiological datasets (involving more than 1.6 million individuals), the researchers observed that removal of the appendix several decades before the onset of Parkinson’s was associated with a lower risk for PD, particularly for people living in rural areas, and it delayed the age of PD onset (Click here to read more about this, click here and here to read the press releases, and click here to read a SoPD post on this topic). Gene therapy involves the treatment of medical conditions with DNA rather than drugs. And this month we had an update regarding one gene therapy clinical trial for Parkinson’s and the initiation of another. Voyager Therapeutics provided further data from their clinical trial of their gene therapy treatment VY-AADC01. Participants in the trial continue to exhibit positive effects from the treatment at 36 months after surgery. In addition to this, Axovant Sciences announced the commencement of their clinical trial of their gene therapy called AXO-Lenti-PD in people with Parkinson’s. Both of these gene therapy treatments are aimed at improving the supply of dopamine in the brains of people with Parkinson’s. They are not curative therapies, but may lead to improvements in the movement related aspects of PD (Click here to read the press release, click here to read more about the details of the trial, and Click here to read an SoPD post on this topic). Manuscript on biorxiv reports that loss of SATB1 – a DNA binding protein associated with Parkinson’s – causes activation of a cellular senescence transcriptional program in dopamine neurons. As organisms age there is an accumulation of senescent cells (cells that have stopped doing what they are supposed to do). For a long time, these cells were assumed to be dormant – not dying, but not actually doing anything. Recently, evidence has been published which suggests this is not the case. Senescent cells release many nasty inflammatory agents, which some believe may be involved with the aging process. This new report suggests that dopamine neurons – some of the vulnerable cells in PD – can become senescent when a gene called SATB1 is disrupted (& this effect appears to be specific to certain populations of neurons as cortical neurons are not affected). The researchers also found evidence of senescent cell activity in postmortem sections of brain from people who passed away with PD. It’s a really interesting study which raise interesting ideas regarding the vulnerability of dopamine neurons and the under lying biology of PD. It always increases interest in a new class of therapeutics called senolytics which are being developed to target senescent cells (Click here to read the manuscript). Australian researchers have found that, in mouse models of Parkinson’s, alpha synuclein protein aggregates promotes the activation of inflammatory processes (called the inflammasome) in the immune cells of the brain: the microglia. The researchers also report that an oral treatment – a small-molecule NLRP3 inhibitor, called MCC950 being developed by a biotech company called Inflazome – improved motor performance and reduced neuroinflammation, neurodegeneration, and alpha synuclein accumulation in mouse models of Parkinson’s (Click here to read more about this and click here to read the press release). 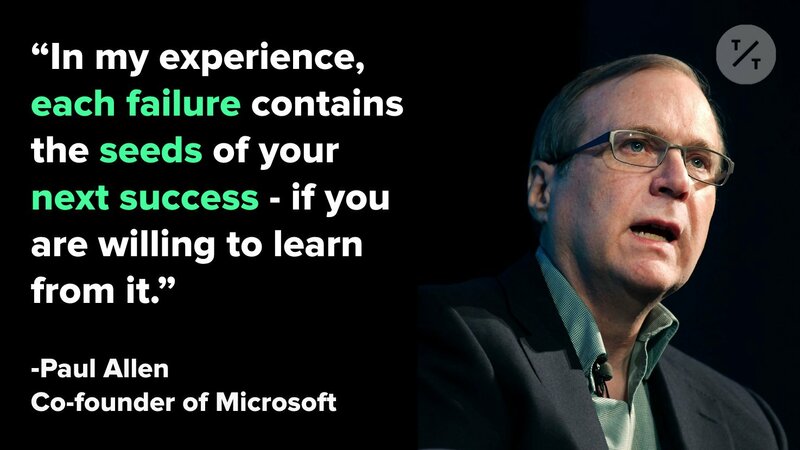 The death of Paul Allen (one of the co-founders of Microsoft) was sad news this month – most members of the Parkinson’s community will not understand what an enormous contribution Mr Allen has made to our understanding of the brain, with projects like the Allen Brain Institute. The man left an amazing legacy! Researchers propose a new, low-cost fluorescence method to detect alpha synuclein protein aggregation ex vivo in models of Parkinson’s (Click here to read more about this). A reduction of Huntingtin interaction protein 2 (or HIP2) levels causes motor function impairment & increased vulnerability to dopamine neurons in model of Parkinson’s. In addition, blood from 211 cases of PD has lower HIP2 levels than 91 controls (Click here to read more about this). Further evidence that extracellular vesicles – bags of material being passed between cells – could be mediating the spread of harmful Parkinson’s-associate alpha synuclein protein species, & thereby contribute to the spread/pathology of PD (Click here to read more about this). Cyclophilin D is a protein involved in mitochondrial membrane stability. New Cyclophilin D mutant fly presents no defects in mitochondria & increases fly survival under oxidative stress. Cyclophilin D mutation also rescues Parkinson’s-associated DJ-1 model (Click here to read more about this). Parkinson’s-associated LRRK2 proteins from different species have different biochemical properties – important ” implications for disease modelling of LRRK2 mutations in mice and on the testing of pharmacological therapies in animals” (Click here to read more about this). Dopamine activity in the striatum can be mediated by endocannabinoids., but this is disrupted in rodent models of Parkinson’s. New study finds that it can be rescued by L-dopa. Dopamine–endocannabinoid interactions (via D2R) are required for normal activity (Click here to read more about this). In vivo cell reprogramming of striatal cells into dopamine neurons can be promoted by SOX2, NURR1, LMX1A, FOXA2, & valproic acid. These reprogrammed neurons exhibit electrophysiological features similar to normal dopamines. Implications for Parkinson’s? (Click here to read more about this and click here for the press release). Designing, making and pharmacological characterising novel dopamine agonists that potentially have symptomatic AND neuroprotective properties for Parkinson’s – watch this space (Click here to read more about this). Triplications of SNCA – the gene encoding for Parkinson’s-associated alpha synuclein protein – causes a rare form of early-onset parkinsonism. Researchers have now reported that neurons from affected individuals display exacerbated nuclear aging (Click here to read more about this). 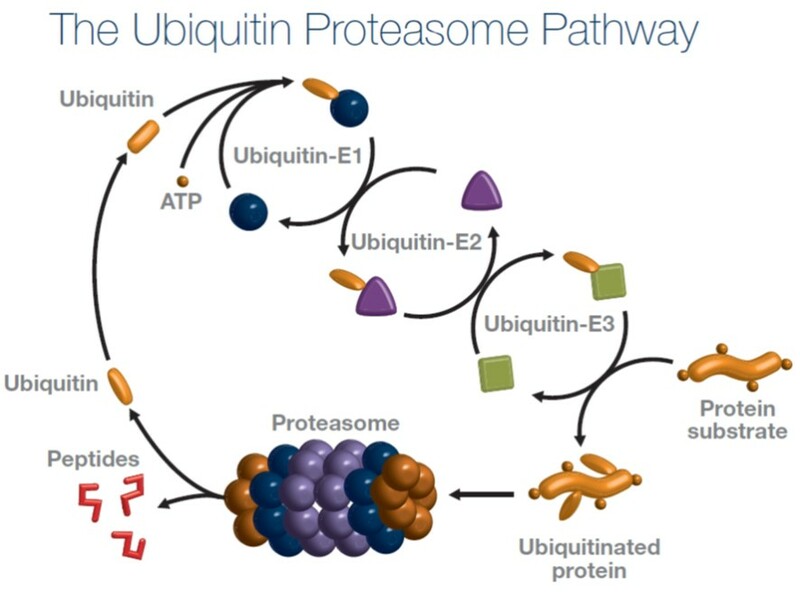 New report highlights the importance of the ubiquitin proteasome system in PINK1-/Parkin-mediated mitochondrial quality control. Implications for Parkinson’s? (Click here to read more about this). Japanese screened 1,230 different drugs on IPS cells grown in culture from both genetic & non-genetic forms of Amyotrophic Lateral Sclerosis (ALS)/motor neuron disease. The results suggest that Ropinirole – a clinically available non-ergot dopamine agonist (meaning it acts like dopamine) used for treating Parkinson’s – could be an effective treatment for ALS (Click here to read more about this). Proteostasis is the process that regulates proteins within a cell. Quite a few genes associated with Parkinson’s & Alzheimer’s pop up in this analysis of cellular temporal responses to proteostatic stress – this really is an “information-rich resource”! (Click here to read more about this and here for the press release). New manuscript on biorxiv reports significant enrichment of Parkinson’s heritability in a curated lysosomal gene set specifically expressed in astrocytic & microglial subtypes. PD-associated genetic risk factors “do not lie in specific cell types or individual brain regions, but rather in global cellular processes to which cell types may have varying vulnerability” (Click here to read the mansucript). Manuscript on bioRxiv reports that utilizing a cell model, researchers explore 51 genetic variants in the Parkinson’s-associated PARKIN gene. Classified into 5 groups based on their effect; most variants were like wildtype & unexpectedly, several enhanced mitophagy (Click here to read more about this). 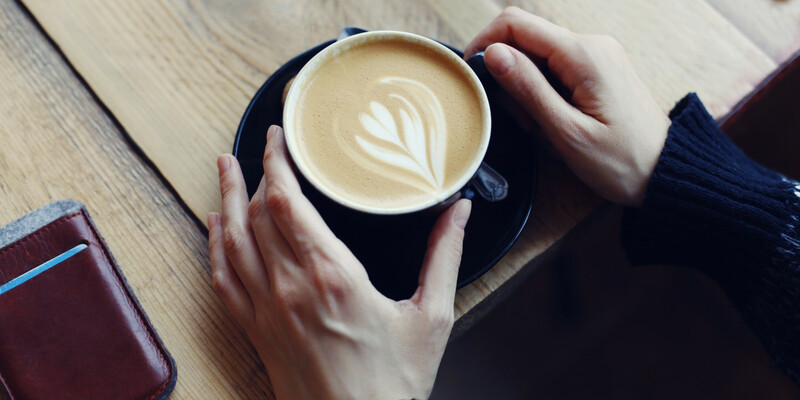 Researchers find that phenylindanes in instant coffee inhibit Alzheimer’s-associated amyloid-beta & Tau aggregation, BUT (& its a big BUT) caffeic acid & quercetin promote the aggregation of Parkinson’s α-synuclein (at >100 μM – Click here to read more about this). Researchers use chemical probes to provide proof-of-principle evidence of how stress alters HSP90-associated chaperone networks in Parkinson’s & they assess the consequences of such changes on the PD proteome (Click here to read more about this). Researchers generate dopamine neurons from stem cells from people with Multiple system atrophy (MSA) – a condition similar to Parkinson’s. They find mitochondrial dysregulation & impaired autophagy in dopamine neurons grown from these cells (Click here to read more about this). A cell culture screening study to identify compounds that desensitize motor neurons to endoplasmic reticulum stress highlights tauroursodeoxycholic acid (TUCDA) for amyotrophic lateral sclerosis (ALS). TUCDA has also been proposed for Parkinson’s (Click here to read more about this). Researchers use ‘diseaseQUEST’ to conduct a C. elegans flat worms screen to identify candidate genes associated with age-dependent motility defects mirroring Parkinson’s clinical symptoms. Top candidate: bcat-1 is reduced in human PD brain (Click here to read more about this). Recently Rab10 & Rab12 have been shown to interact with Parkinson’s associated protein LRRK2. New manuscript on biorxiv finds that both rare & common LRRK2 exonic variants augment the phosphorylation of Rab10, but not Rab12 (Click here to read more about this). Processes of self-oligomerization & co-oligomerization of Parkinson’s-associated alpha synuclein are challenging to quantify. Now researchers may have a solution & find co-oligomer formation is > than self-oligomer at equilibrium (Click here to read more about this). Treating dopamine neurons with the irreversible proteasome inhibitor, lactacystin, results in cell loss (a model of Parkinson’s). Attempting to rescue this model with Nicotinamide (a histone deacetylase inhibitor) only makes the situation worse! (Click here to read more about this). Lymphocyte activation gene 3 (Lag3) – a protein suspected of being involved in Parkinson’s-associated alpha synuclein transmission – has been found to be increased in prion infections but does not modify prion disease progression (Click here to read more about this). Melatonin treatment attenuates LRRK2‑induced long‑term memory deficit in a fly model of Parkinson’s (via reduced calcium channel activities – Click here to read more about this). New data suggests that Ketamine does not exert any protective properties on dopamine neurons in mouse model (intranigral lactacystin) of Parkinson’s – Lactacystin is a selective proteasome inhibitor (Click here to read more about this). Prana Biotechnology presented preclinical data Move Disorder Society congress in HK, demonstrating PBT434 prevents glial build up of cell inclusions & insoluble alpha-synuclein in a mouse model of Multiple System Atrophy (or MSA) – a condition similar to Parkinson’s (Click here to read more about this). An analysis of the mutant Parkinson’s-associated protein alpha synuclein (α-Syn121) finds that it aggregates at accelerated rate, shows strong cytotoxicity (but weak membrane disruption ability), & increases levels of cell death related molecules (Click here to read more about this). Chronic oral treatment of a bacteria (Porphyromonas gingivalis) which causes periodontal disease – a preventable gum infection – results in brain inflammation, neurodegeneration & B-amyloid production in wild type mice, similar to that seen in Alzheimer’s. Implications for Parkinson’s? (Click here to read more about this and click here for the press release). Preliminary results suggest that a particular genetic variation – the TREM2 p.R47H substitution – may be a risk factor for multiple system atrophy (or MSA), a condition similar to Parkinson’s. This finding implicates neuroinflammatory processes & microglial activation (Click here to read more about this). Researchers have generated a mouse model of Parkinson’s with specific genetic mutation (fPD E46K mutation plus 2 homologous E→K mutations in adjacent KTK EGV motifs) that causes a L-dopa-responsive motor syndrome closely resembling Parkinson’s (Click here to read more about this, and click here to read the press release). 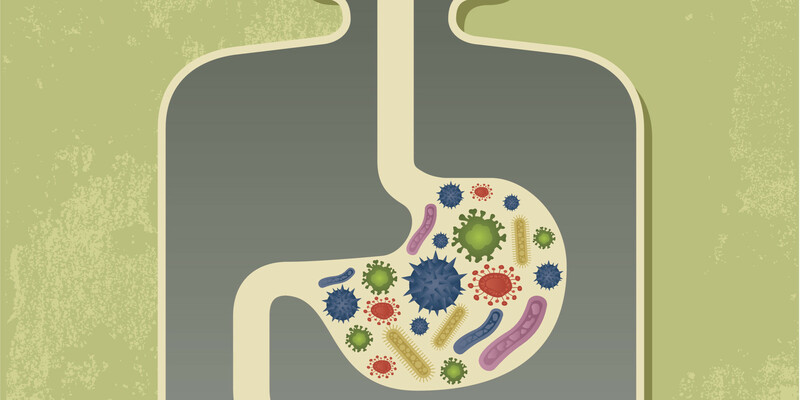 Researchers identify a really interesting connection between the gut & Multiple Sclerosis. They found guanosine diphosphate (GDP)–L-fucose synthase is an autoantigen that is recognized by brain–infiltrating CD4+ T cells. Given the proposed connection between the gut and Parkinson’s, could this result have implications for PD? (Click here to read more about this, and click here for the press release). New report demonstrates that the appearance of insoluble alpha-synuclein aggregates in the human Parkinson’s brain coincides with the loss of glucocerebrosidase (GCase) activity. 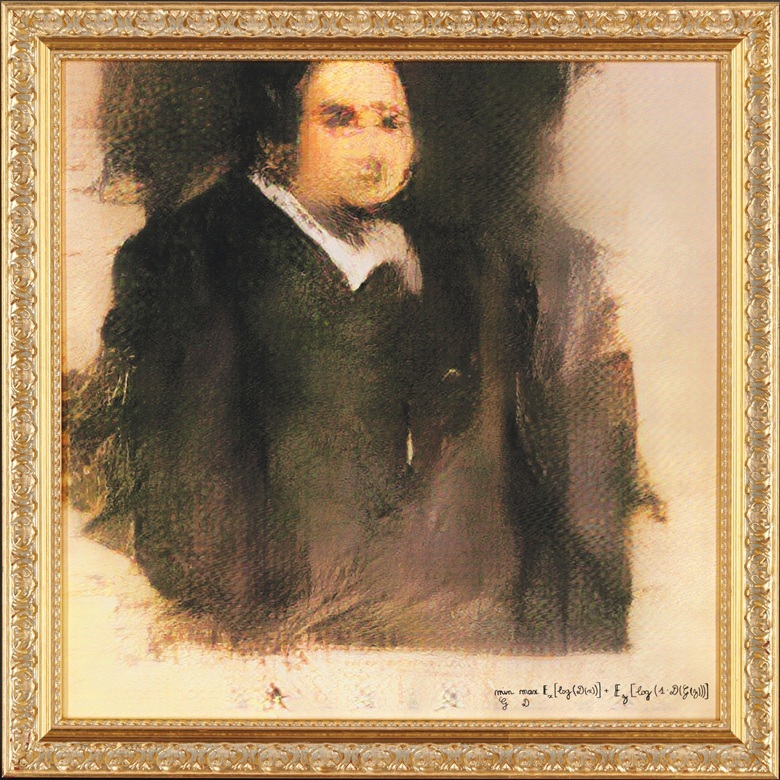 Hyperphosphorylated Tau appears to accompany this effect (Click here to read more about this). Researchers have an interesting manuscript on biorxiv indicating that attenuating the DNA damage response to double strand breaks is neuroprotective (in 3 models of neurodegeneration & retinal ganglion cells – Click here to read the manuscript). Interesting report involving 20 people with PD & 61 controls suggests that Parkinson’s is associated with a bilateral atrophy (shrinkage) of the vagus nerve (which connects the gut to the brain – Click here to read more about this). Researchers have a manuscript on biorxiv examining causal associations between risky behavior phenotypes on Parkinson’s (using a Mendelian Randomization). The findings support a causal relationship between general risk tolerance & PD (Click here to read more about this). Researchers report that developmental mutagenesis (spontaneous/non-inherited errors in DNA) may be a potential mechanism for neurodegenerative disorders like Alzheimer’s & Parkinson’s (Click here to read more about this and here for the press release). Levels of ubiquitin specific protease 13 (USP13) are high in post-mortem Parkinson’s brain. USP13 independently regulates PD-associated parkin & alpha-synuclein. USP13 knockdown facilitates Nilotinib effects on alpha-synculein clearance. New drug target? (Click here to read more about this). New manuscript on biorxiv suggests that dopaminergic medication like L-dopa reduces striatal sensitivity to negative outcomes in Parkinson’s (Click here to read more about this). Japanese researchers conduct a large drug screen & find that T-type calcium channels determine the vulnerability of dopamine neurons to mitochondrial stress in moldels of familial forms of Parkinson’s. Further support for calcium homeostasis as target for PD (Click here to read more about this and click here for the press release). Canadian researchers identify p.Trp378Gly genetic mutation in the Parkinson’s-associated GBA gene as a probable French‐Canadian founder mutation causing Gaucher disease & other synucleinopathies like PD (Click here to read more about this and click here to read the press release). One in two women & one in three men will develop dementia, stroke or Parkinson’s during their life time. “Findings strengthen the call for prioritising the focus on preventive interventions at population level” (Click here to read more about this, and click here to read a news report about the study). Study finds that Parkinson’s-associated motor & nonmotor functions, disease duration, quality of life, & severity are related to nutritional status. “Nutritional status assessment should be a standard approach in the PD treatment and follow-up processes” (Click here to read more about this). Interesting manuscript on Arxiv – “PhoneMD“, demonstrating how artificial intelligence is learning to diagnose Parkinson’s from smartphone data (Click here to read more about this, and click here for the press release). New smartphone-based system for real-time monitoring of L-dopa (using carbon nanotubes & gold nanoparticles on modified screen-printing electrodes) in people with Parkinson’s. It could pick up concentrations as low as 0.5 µM in serum (Click here to read more about this). Interesting manuscript on biorxivpreprint suggesting that dopamine may not play a role in the choice performance for values learned through reinforcement learning in humans. Parkinson’s treatment L-dopa given to 31 healthy people & has little effect (Click here to read more about this). A cross-sectional study of 268 407 Medicare beneficiaries with Parkinson’s, finds some disturbing patterns of inappropriate dementia drug prescribing (Click here to read more about this). A meta-analysis of LRRK2 associated Parkinson’s finds a lot of clinical heterogeneity (variability): G2385R carriers more likely to have family history than non-G2385R carriers & lower H-Y, higher MMSE scores. G2019S carriers have better response to L-dopa (Click here to read more about this). The G2019S mutation in the LRRK2 gene generates a milder form of Parkinson’s compared with GBA‐associated PD, but a new study finds LRRK2‐PD tends to have longer survival compared to idiopathic PD, while GBA status did not affect mortality (Click here to read more about this). Chronic treatment with the tricyclic antidepressant drug amitriptyline in a rodent model of Parkinson’s enhanced L-DOPA-derived dopamine levels in the brain (striatum & midbrain) & decreased SERT binding (Click here to read more about this). Brain imaging data from the Parkinson’s Progression Markers Initiative (PPMI) database suggest that people with p.A53T SNCA-associated Parkinson’s show evidence of a more severe nigrostriatal denervation, especially evident in the caudate nucleus (Click here to read more about this). NLRP3 Inflammasome-related proteins are higher in the putamen (a region of the brain where the chemical dopamine is released) of people with Multiple System Atrophy (or MSA) – a neurodegenerative condition similar to Parkinson’s (Click here to read more about this). A brain imaging study in people with Parkinson’s points towards a role for the cingulate cortex in dyskinesias-Reduced-Self-Awareness (Click here to read more about this). New cross-sectional, longitudinal data looks at three motor phenotypes (groups based on characteristics) of Parkinson’s & how they differ in cognitive performance. Result suggest that cognitive deficits seem to be less severe in tremor-dominant PD (Click here to read more about this). New study of the medical records of 1,762,164 Israeli adults finds that there IS an association between β2‐adrenoceptor agonists & antagonists and risk of Parkinson’s. 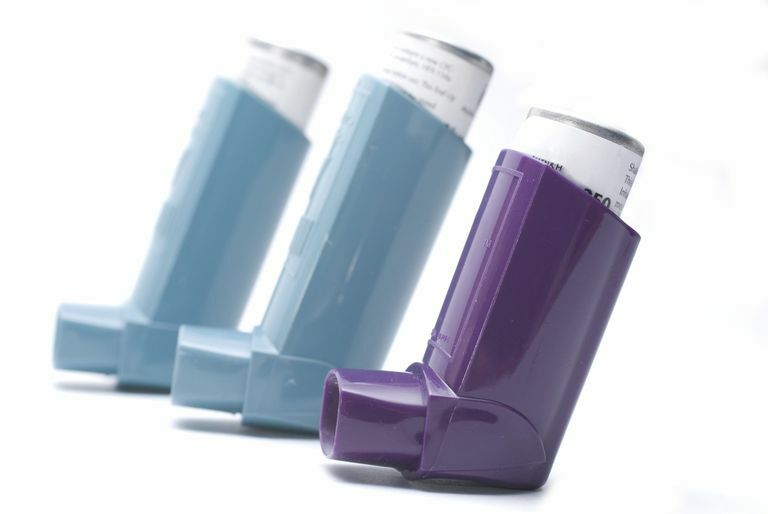 Propranolol & salbutamol significantly associated with PD (Click here to read more about this). Russian researchers report that levels of alpha-synuclein in CD45+ blood cells is increased in sporadic Parkinson’s, and suggest that it could be influenced by SNCA genetic mutations (rs356168 & rs356219 – Click here to read more about this). New research suggests that women are markedly underrepresented in clinical trials in Parkinson’s field. So many research findings may not automatically apply to real world. More work is needed on fair gender representation in studies (Click here to read more about this). Researchers find reduced glucocerebrosidase (GBA) activity in blood cells (monocytes, but not lymphocytes) from people recently diagnosed with Parkinson’s. More evidence for GCase dysfunction in idiopathic PD (Click here to read more about this). Whole‐genome sequencing of DNA from 3 families with early‐onset Parkinson’s suggests that 5 different PARKIN structural variations might originate through retrotransposition events (Click here to read more about this). 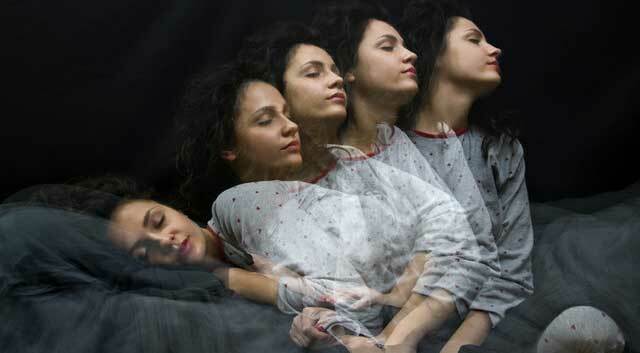 New study suggests that sleep really matters for people with Ldopa‐induced dyskinesia in Parkinson’s. Further analysis is needed to determine the effect of drugs that can enhance cortical slow wave activity (Click here to read more about this). 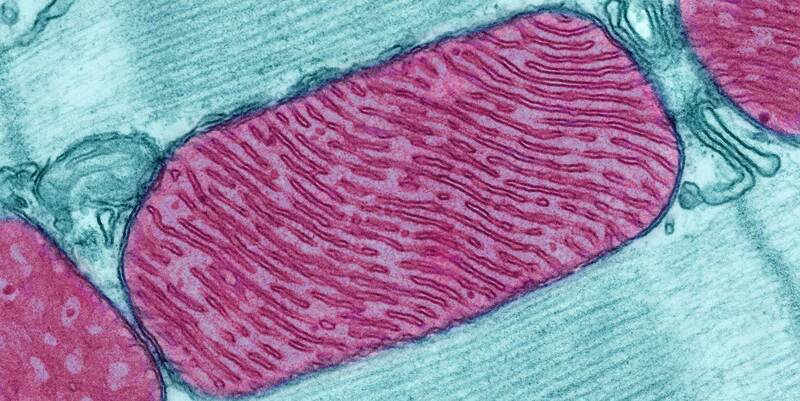 Researchers report an interesting case study suggesting that early-onset Parkinson’s can be caused by a mutation in CHCHD2, expanding the repertoire of mitochondrial proteins that play a direct role in this condition (Click here to read more about this). Genetic analysis of two DNA databases reveals Plasticity-related gene 3 (LPPR1) as a modifier gene for Parkinson’s. LPPR1 may be involved in response to damage, influencing efficacy of regeneration & the subsequent rate of deterioration in preclinical PD (Click here to read more about this). Genetic variations in the SNAP25 gene (rs1051312) has been suggested to confer protection against Parkinson’s onset, in particular in males. A replication in a larger & independent sample is required (Click here to read more about this). Researchers report that there the inflammatory condition of Gout is linked to an increased risk of developing Parkinson’s – with a hazard ratio of 1.14 (95% CI, 1.07-1.21 – Click here to read more about this). Researchers demonstrate functional mitochondrial dysfunction & increased glycolysis in Parkinson’s & rapid eye movement‐sleep behavior disorder patient blood cells during the early stages of the condition (Click here to read more about this). Clinically differentiating Parkinson’s & progressive supranuclear palsy (PSP) can initially be tricky. Now brain imaging researchers propose a solution. Results show widespread diffusion alterations in PSP compared to PD (Click here to read more about this). New study finds that cerebrospinal fluid levels of alpha synuclein protein inversely correlates with severity of non-motor features in a cohort of people with Parkinson’s. Low levels of a-syn = increased non-motor burden (Click here to read more about this). Analysis of genetic mutations associated with early onset Parkinson’s in Han Chinese finds that NUS1 harbored more rare nonsynonymous variants in PD than controls. Mutating the gene in flies results in early-onset PD-like features (Click here to read more about this). New biorxiv manuscript: dementia with Lewy bodies (DLB) has a positive correlation with education phenotypes (opposite to Alzheimer’s); Predicts novel genetic risk factors for DLB most likely to be independent from known AD & Parkinson’s variants (Click here to read more about this). 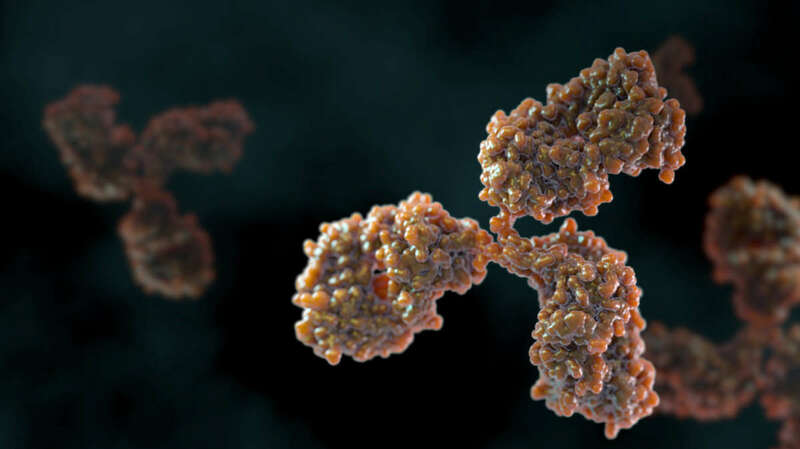 A nice systematic review & meta-analysis of antibody studies in Parkinson’s showing that there is weak evidence for an increase in alpha synuclein auto-antibodies in PD patients (particularly in early stages – Click here to read more about this). Researchers publish brain imaging data supporting the idea that habitual exercise is associated with preservation of motor & nonmotor function. Implications for Parkinson’s? (Click here to read more about this). “The Voice of the Parkinson’s Customer” approach. Top unmet needs: (1) more self management; (2) better interdisciplinary collaboration btwn healthcare pros, (3) more time talk future; & (4) healthcare pro as a single point of access (Click here to read more about this). A new manuscript on biorxivpreprint regarding an age of onset genome-wide association studies (GWAS) based investigation on 28,568 cases of Parkinson’s. SNCA & TMEM175 stick out. “These data support a model in which alpha-synuclein & lysosomal mechanisms impact not only PD risk but also age of disease onset & highlights that therapies that target alpha-synuclein aggregation are more likely to be disease-modifying than therapies targeting other pathways” (Click here to read the manuscript). Researchers are attempting to re-purpose Ketamine for the treatment of L-dopa induced dyskinesias in people with Parkinson’s (Click here to read more about this, and click here to read a case report). Adamas Pharma announces the publication of data demonstrating dyskinesia’s impact on activities of daily Living in people with Parkinson’s. And that treatment with GOCOVRI (the slow release version of amantadine) can help ameliorate the impairment (Click here to read more about this, and click here for the press release). Photopharmics released the results of its multinational, double-blind, randomised controlled clinical trial in Parkinson’s at the annual International Move Disorder Society meeting in Hong Kong. A 6 month study of 92 PwPs = clinically meaningful improvements (Click here to read more about this). A two year study of magnetic resonance–guided focused ultrasound – a non-invasive method of treating Parkinson’s – in 37 people finds that the procedure results in sustained tremor reduction for medically refractory essential tremor (Click here to read more about this). Naftazone exhibits glutamate release inhibition properties & has been shown to correct Parkinson’s features & dyskinesias in preclinical models of PD, but a double-blind randomized placebo-controlled trial has failed to replicate these effects in humans (Click here to read more about this). Biogen presents data on potential therapies for Parkinson’s and Progressive Supranuclear Palsy (PSP) (Click here to read more about this). The first multi-drug clinical trial in Multiple Sclerosis has been successfully completed. Unfortunately all 3 drugs failed, but we “have demonstrated how to run faster, cheaper trials successfully – meaning we can test more potential drugs, quicker” – important takeaways! (Click here to read more about this). Intra-Cellular Therapies announced the results from their Phase I/II, randomised, double-blind, placebo-controlled, clinical study evaluating ITI-214, its potent and selective phosphodiesterase 1 (PDE1) inhibitor, in people with mild-to-moderate Parkinson’s maintained on stable (concomitant) PD medication (e.g., dopamine replacement therapies). Once-daily administration of ITI-214 for 7 days was shown to be safe and generally well tolerated across a broad range of doses, and improvement in motor symptoms and reduction in motor complications (e.g., reduced dyskinesias) were noted (Click here to read more about this and click here to read a SoPD post on this topic). Results from a Phase I clinical study of Pfizer‘s dopamine D1/D5 agonist PF-06649751 suggest that it’s safe & well tolerated, meriting ‘ further study in larger clinical trials’. We are assuming this is the partial D1 agonist mentioned in the Cerevel deal (Click here to read more about this). Recruitment has begun in the Anavex Life Science Phase II clinical trial of ANAVEX®2-73 for the treatment of Parkinson’s Dementia. Interesting combination: ANAVEX2-73 acts as a muscarinic receptor & a moderate sigma1 receptor agonist (Click here to read more about this). Interesting new precision medicine study kicking off at Penn Medicine (a division of the University of Pennsylvania) – the Molecular Integration in Neurological Diagnosis (MIND) Initiative is turning its focus on Parkinson’s with a 2500 person cohort study (Click here to read more about this). Denali Therapeutics & Centogene announced a strategic collaboration for the global identification & recruitment of people with LRRK2-associated Parkinson’s. This will help with the testing of LRRK2 inhibitors for PD (Click here to read more). 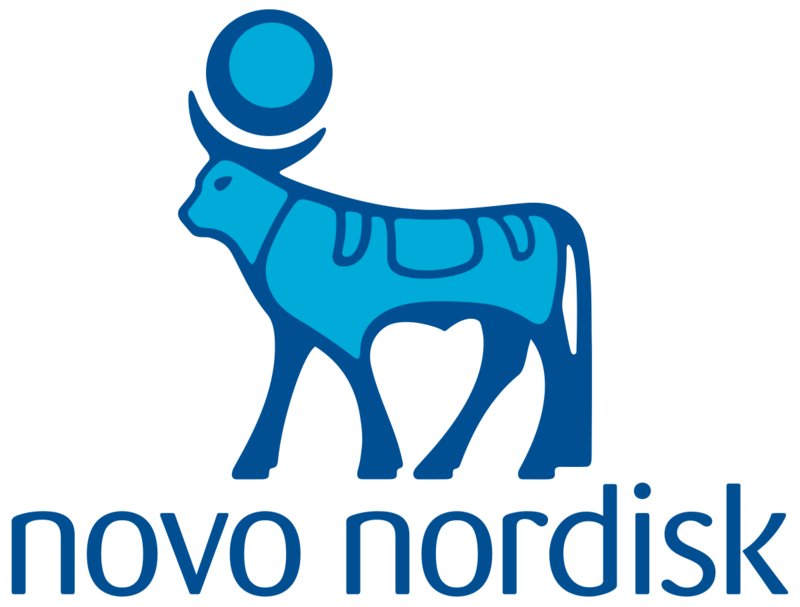 Interesting article discussing the efforts of Novo Nordisk to develop new therapies for neurodegenerative conditions like Parkinson’s & Alzheimer’s (Click here to read more about this). Biotech firm Retrotope & the Parkinson’s Institute and Clinical Center have announced a collaboration on new drug treatment therapies for Progressive Supranuclear Palsy (or PSP), a type of treatment-resistant PD (Click here to read more about this). Lobsor Pharmaceuticals AB is a biotech company from Uppsala (Sweden) that has a gel formulation of levodopa, carbidopa, & entacapone for continuous intestinal administration in Parkinson’s, smaller & lighter pump than Duodopa (Click here to read more about this). Emteq inc and audEERING are partnering a device that will use facial tracking AND vocal analysis to track “key physical indicators” of Parkinson’s – a smart use of smart glasses! (Click here to read more about this and click here to read a SoPD post on this topic). Gene therapy company MeiraGTx is buying Vector Neurosciences for its Phase II Parkinson’s product AAV-GAD – which delivers the glutamic acid decarboxylase (GAD) gene to the subthalamic nucleus to increase production of GABA, inhibiting over-activity there (Click here to read more about this). Researchers at the Move Disorder Society meeting in Hong Kong are discussing the possibilities of treating PD before the diagnosis. This is an interesting summary (Click here to read more about this). New collaboration announced between Sheffield Institute of Translational Neuroscience (SITraN) & FORMA Therapeutics to accelerate novel treatments for Parkinson’s & Amyotrophic Lateral Sclerosis (ALS – Click here to read more about this). CuraSen Therapeutics announces completion of series A funding of $54.5 million to address the “urgent need” for new medications that target Parkinson’s & Alzheimer’s (Click here to read more about this). A lovely tribute to Tom Isaacs on the power of the Parkinson’s patient: A Call to Action. “It is in our best interests to ensure that our voices as a community are heard, that we have input into the clinical trial process” (Click here to read more about this). Pharmaceutical company Pfizer & investment firm Bain Capital have created a new company ‘Cerevel Therapeutics‘ focusing on developing therapies for neurological conditions, including Alzheimer’s & Parkinson’s. Leading its pipeline is a D1 partial agonist entering Phase 3 trial for PD in 2019. Nice website as well: https://www.cerevel.com (Click here to read the press release). 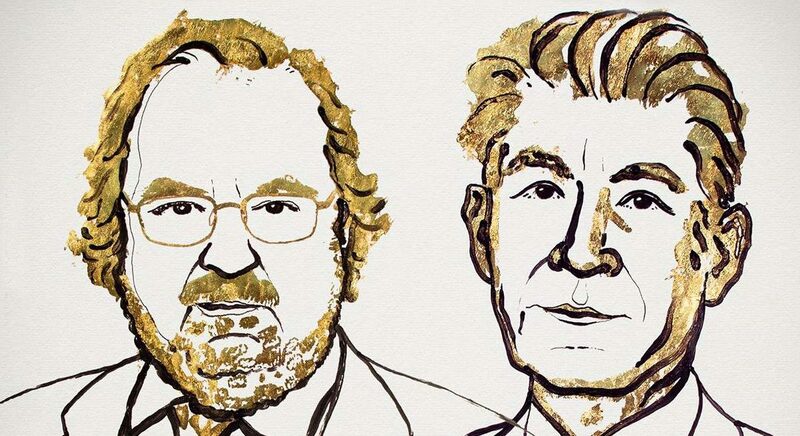 Congratulations to Ionis pharmaceuticals for winning the Breakthrough Prize for their spectacularly successful gene therapy drug, Spinraza, that treats Spinal Muscular Atrophy (a deadly infant disease). Fingers crossed that this Parkinson’s approach has success too (Click here to read more about this). Parkinson’s UK have launched their list of tried & tested apps and devices for the Parkinson’s community – a very interesting list of tools to be explored (Watch the video below and click here to read more about this). Triggers: agents/events that begin the disease. Facilitators: factors that allow the disease to spread. Aggravators: directly promote the neurodegenerative process. An interesting opinion piece on redefining Parkinson’s pathogenesis (Click here to read more about this). Interesting review of Parkinsonisms – the features of Parkinson’s – in inherited metabolic disorders. Its discusses the genetics & biochemical mechanisms which may point to clues for future therapeutic strategies (Click here to read more about this). Very useful review article asking whether autoimmunity plays an underlying role in Parkinson’s – fantastic illustrations in this article! (Click here to read more about this). Interesting discussion about the Linked Clinical trial (LCT) initiative for Parkinson’s coordinated by Cure Parkinsons Trust & Van Andel Institute (Click here to read more about this and click here to read more about the initiative). Interesting review of ‘Levodopa Phobia’ ( a new one for me!) – the rejection of levodopa intake because of problems of overemphasised fears of gastrointestinal side effects or an impulsive compulsive personality trait (Click here to read more about this). A nice overview of the disruptive membrane interactions of Parkinson’s-assocaited alpha-synuclein protein aggregates (plus an interesting review of a-syn history – Click here to read more about this). Interesting review about the neurological effects of GBA mutations. Genetic mutations in the glucocerebrosidase (GBA) gene associated with increased risk of developing Gaucher disease or Parkinson’s (Click here to read more about this). A very thorough & complete review of microglia – the immune cells in the brain – and their role in neurodegeneration conditions, like Parkinson’s & Alzheimer’s (Click here to read more about this). The aggregation of tau protein is found in ~50% of Parkinson’s brains. This mini review provides a nice overview of the research on Tau in PD (Click here to read more about this). An interesting mini review on Toll-like receptors in neurodegenerative conditions like Parkinson’s & Alzheimer’s (Click here to read more about this). And there it is, just some of the highlights from October 2018 – another very busy month of Parkinson’s research. Hopefully there will be bits and pieces of interest for everyone in the list. Much of the material used here was collected from the Science of Parkinson’s Twitter feed (and there is a lot more posted there each day). And now: on to November (almost Christmas)! prominent clinical features of LRRK2-G2019S-related PD patients were … more likely to have high scores of Schwab & England, low GDS scores, high UPSIT scores, and good response to L-dopa. Further, G2019S carriers had higher LEDD and were more likely to develop motor complications, such as dyskinesia and motor fluctuations than non-carriers. Response to levodopa and more likely to have dyskinesias I understand. More likely to have milder PD and better survival rates according to the other LRRK2 study? I found this post to have several nuggets of potentially useful info. Thanks to you and the Parkinson’s industrial complex. PD motor and nonmotor functions, disease duration and severity are related to nutritional status. Quality of life was also shown to be affected by changes in the nutritional status. These results show that nutritional status assessment should be a standard approach in the PD treatment and follow-up processes. Patients with malnutrition or at risk of malnutrition were assessed by the dietitian and nutrition nurse. These patients received nutritional support through personalized diet recommendations and appropriate enteral nutritional products, considering factors such as age, comorbidity, socioeconomic and cultural conditions. So, if your diet is really poor, and you improve it, your PD gets better too? Is there a correlation between number of cookies and updrs score? higher LEDD (levodopa equivalent doses) neither good nor bad?